And here it is, the finished brooch! 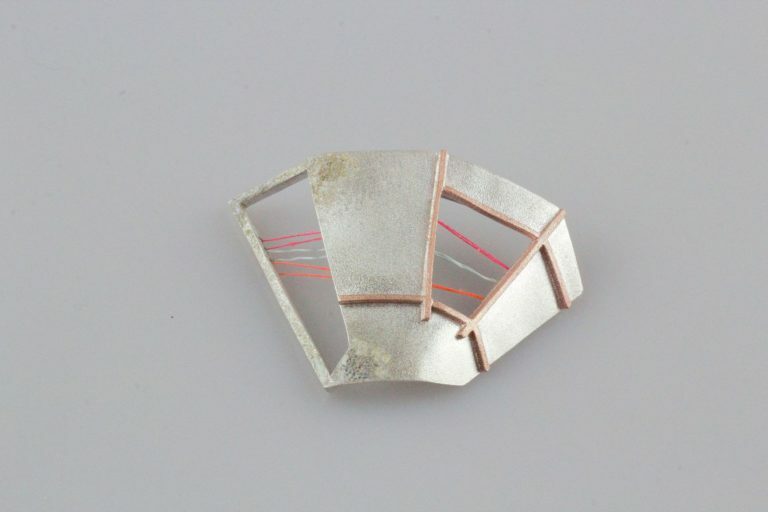 Silver, copper, embroidery thread, enamel and steel pin. 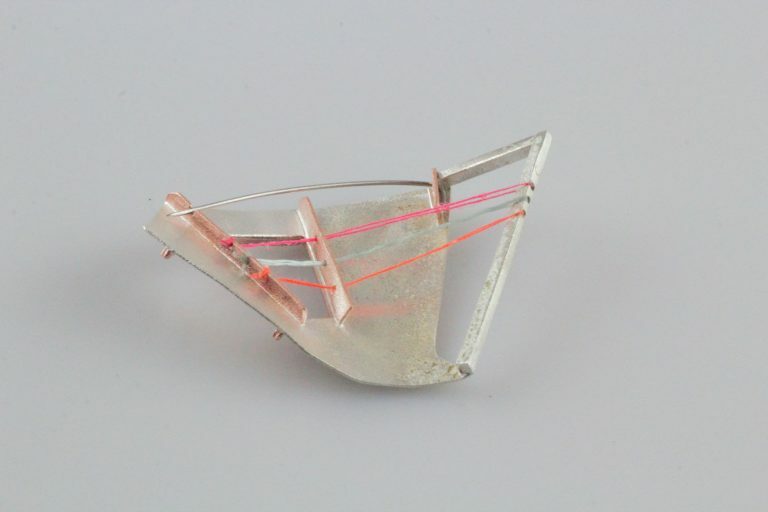 The January brooch is inspired by a trip along Amsterdam’s canals during a research trip in 2018. The boat, the bright lights and reflections all played a part in the development design. The embroidery thread runs across the back of the brooch in neon colours, like the bright lights of the canal. I love how the colours gently reflect across the frosted silver. 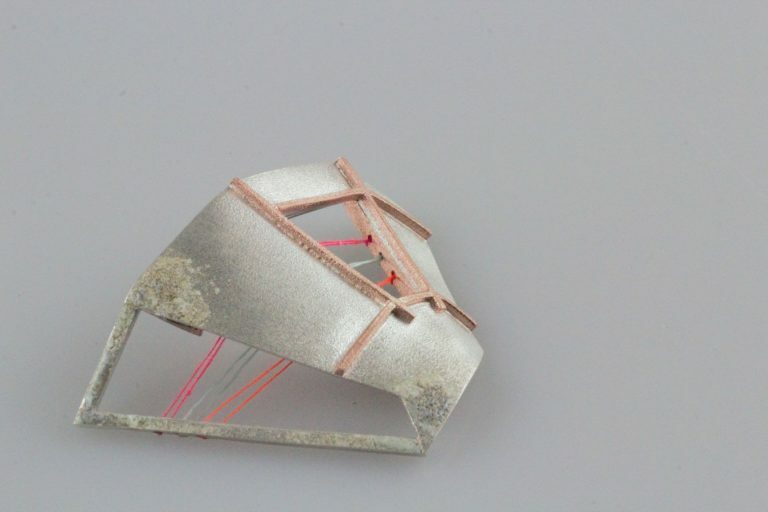 I wanted to make sure the brooch pin was an integral part of the design, and not just put on the back for the point of making it wearable; the pin fixes into the same sheet of metal as the embroidery threads run through. 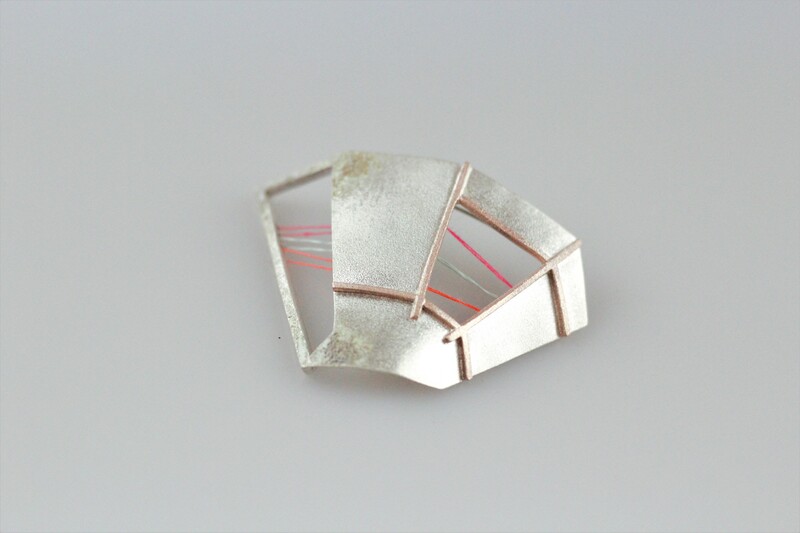 The brooch has a frosted finish with speckled enamel detail on one side.